About 90% of all driveways in Florida are concrete or asphalt. While both products offer a durable and attractive finished product, each comes with unique advantages and drawbacks. At Trinity Asphalt Paving, we want you to make an informed decision when repairing or replacing your South Florida driveway. Here’s what you should know about choosing concrete. One of the biggest advantages of concrete is its long life. A concrete driveway can last for 25 or more years with proper care and installation. An asphalt driveway has a slightly shorter lifespan of about 20 years. Concrete also requires very little driveway maintenance. Occasional sealing of concrete is sufficient to keep it looking great. Asphalt, on the other hand, requires more frequent sealing as well as resurfacing. This can make a big difference cost-wise over the life of the driveway and make up for the initial savings with asphalt. If you want a decorative driveway, there are more options with concrete than asphalt. The appearance of a concrete driveway can be enhanced with coloring and stamping, a process that stamps patterns like basket weave or herringbone into the concrete to mimic the look of concrete pavers. Concrete is not always the best option. If you want a driveway with a lower upfront cost, asphalt is usually cheaper to install. While asphalt requires more maintenance, it is also easier to repair than concrete when it gets damaged or cracked. 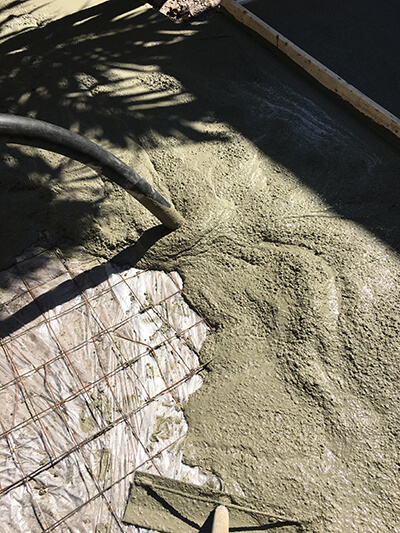 When concrete is damaged by tree roots, excess weight, or extreme temperature, it may require jackhammering, removing damaged sections, and new concrete installation. Concrete cannot be resurfaced like asphalt. Another downside to consider is the fact that concrete stains easily. Stains from oil, gas, and chemicals can be difficult to remove. The good news is one drawback of concrete isn’t a factor in South Florida. Concrete is more prone to cracking in extreme temperatures or cold winters. 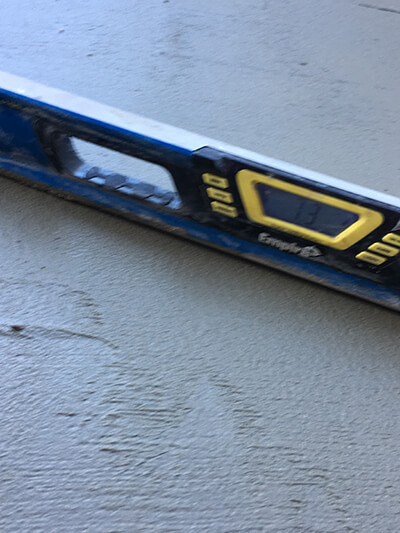 South Florida homeowners and business owners don’t have this worry and are likely to enjoy an even longer lifespan from their concrete. It’s easy to overlook maintenance of your driveway, but it’s an area you shouldn’t neglect. After all, driveway repairs or premature replacement can be costly and a damaged driveway will detract from your home’s curb appeal. • Treat stains right away. Sealing concrete helps protect it from stains, but it’s important to remove grease, gasoline, oil, and other spills quickly. Discolored concrete can be pressure washed and treated with specific chemicals to lift the stain. • Clean the driveway and apply a sealer every 5 years or so. This will help the concrete repel water and reduce stains. • Take care with heavy machinery. A standard household concrete driveway is not designed to support heavy loads. The occasional RV, moving van, or construction equipment won’t do any harm, but extended or repeated use with heavy vehicles can damage the concrete. Avoid parking an RV on your driveway if you can help it. If you’d like a free quote on your concrete driveway project and live in the Boca Raton to Boynton Beach to West Palm Beach area, call us at (561) 889-2615 or click here.